7:05 am. 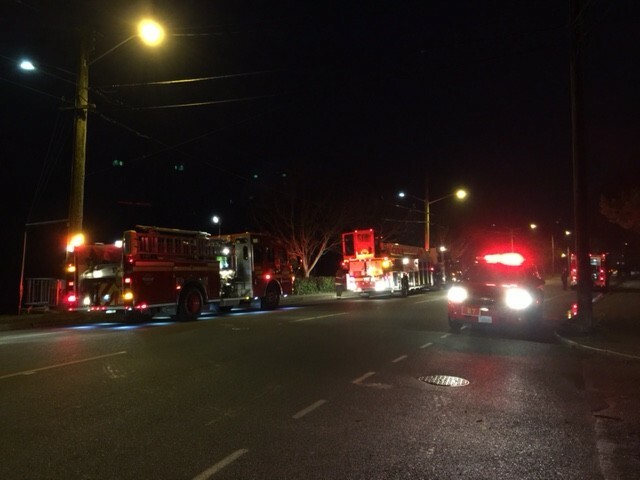 A major response from the Seattle Fire Department is taking place right now for what is being called a “salt water rescue” off of SW Oregon Street and Beach Drive. Scupper is on the scene. We should have more information soon. 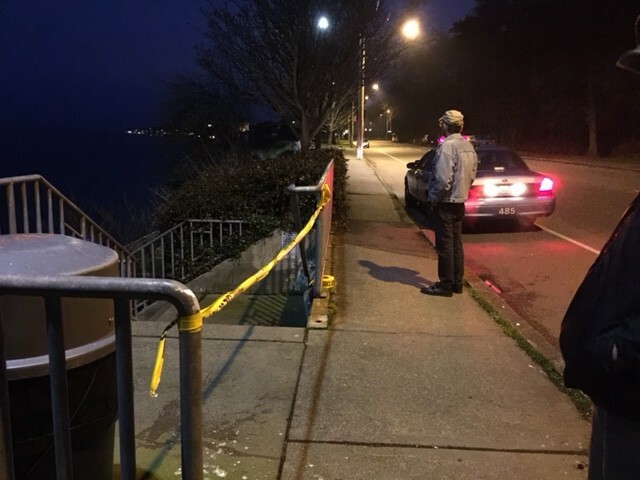 UPDATE 7:06 AM: Very sad news, West Seattle Blog reports that a body has been recovered. UPDATE: 7:17 AM: A Beach Drive neighbor out on a routine walk saw the body and went to another neighbors home for help and to call 9-1-1. The body was found at the lower section of Emma Schmitz by the south flight of stairs. Scanners report that it is a woman. News crews are on the scene and the coroner is in route. UPDATE 8:54 AM: Speculators on the scene believe the deceased woman, who is described as having a heavy build and grey hair, was not in the water for long. We are told that attempts were made to resuscitate her. UPDATE January 11, 2015: The woman has been identified as Carolyn Arnold. No other information is known at this time. When I arrived at the scene, a long time neighbor of Beach Drive and avid sportsman told me that he spotted the body at around 6:30.this morning. He first thought it was a couple birds on the water but then realized they were shoes. Without his phone, he hurried to another neighbors he knew would be awake and had him call 9-1-1.